Join us on Saturday 4th May 10 am – 2 pm for our Paint Out in The Park event at Roma Street Parklands! Our artists will be painting en plein air in the beautiful Roma Street Parklands! Afterwards join us at Petrie Terrace Gallery from 2 pm – 4 pm for the offical closing event of Brisbane: Landscapes, Landmarks and Personalities! There will be drinks, refreshments and we will be announcing the people’s choice winner! 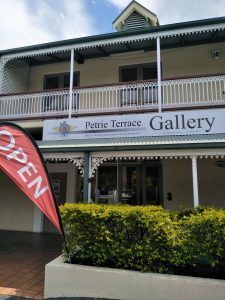 Petrie Terrace Gallery is only a short stroll from Roma Street Parklands and bus routes 379, 380 and 381 can be caught from Roma Street and stop Petrie Terrace 100 metres north of the Gallery (Stop #3B) near Scout Cafe. 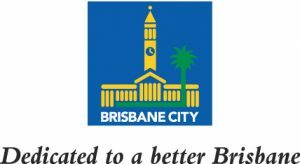 Proudly Sponsored by Brisbane City Council. 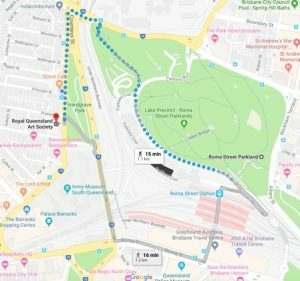 Please note if you are interested in being involved in our Paint Out in The Park either as an artist or an events volunteer please contact us at entries@rqas.com.au.